How about you adorn your hair with a pretty accessory, but because you’re a young girl with a tight budget, the pretty accessory can be made from your own hair! Rosette braided buns have always taken one back to the Victorian age of sweet summer romances. These are soft hairstyles with loosely curled hair that can be achieved with a big barrel curling iron. The clothing line Rodarte that was founded by Kate and Laura Muleavy from California. 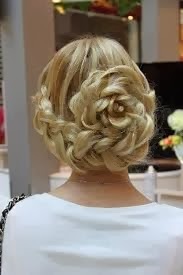 2013 saw their fashion show with an interesting line of clothing, but what caught even more attention were the Rosette braids that the models were seen sporting. Curl your hair with the curling iron after using the serum on the ends. Make sure that you always curl the hair framing your face away from it. Make the basic three-strand braid on both the sides and tie them securely with elastic bands. Loosen the braids to create a messier look. Join the two braids in with another elastic band to create a half up half down look. Now separate a strand of hair and pull it above the elastics to use the style holding spray. No. to make the rosette, take this hair strand and the hair from the braids to twirl them into a loose bun. Secure the bun with bobby pins. 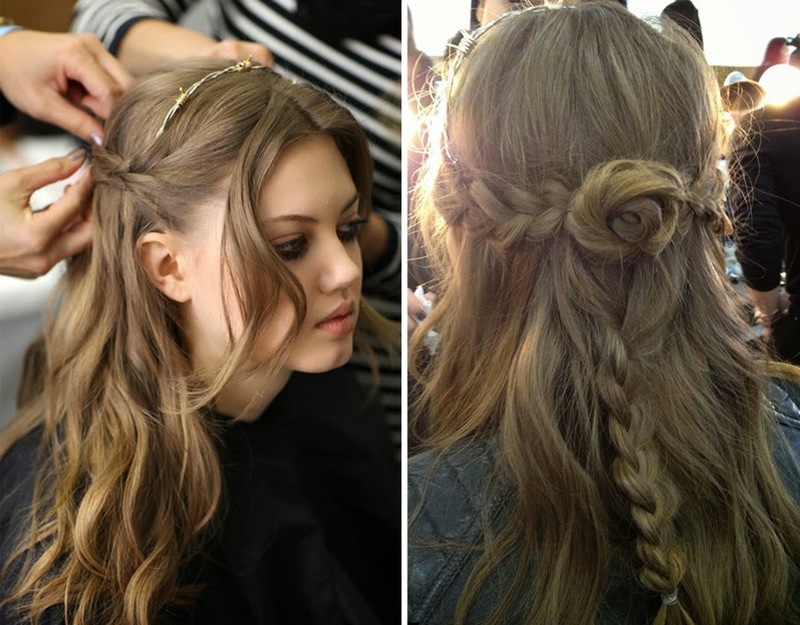 Create another three strand braid beginning from the bun and tug the parts of the braid a little to loosen it. Voila! You’re a rock-chic princess now.